“Flagrant and widespread persecution of Christians rages in the Middle East even as we meet,” the former apostolic nuncio to Iraq and Jordan, Archbishop Francis A. Chullikatt told the United Nations in a congressional hearing this week. The House subcommittee on global human rights listened to international experts testify about the rise in Christian persecution throughout the world. In particular, the persecution of Christians in Iraq has increased in the wake of the country’s democratic transition. Religious minorities had previously enjoyed some amount of protection under the strict law and order enforced by previous rulers. The archbishop highlighted the new, shameful “tradition” of bombing Catholic and other Christian churches on Christmas Eve, which has happened in the Middle East for several years. 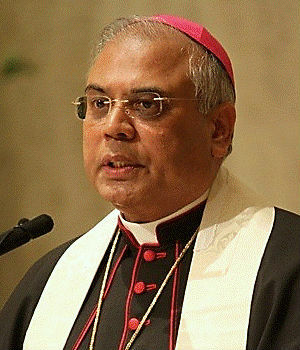 The archbishop indicated that the damage to the Christian children growing up in such a repressive environment is immense. “They live in fear . they go to schools, not even sure they will come back safe and alive. It’s a growing, worldwide problem. The Pew Forum found that Christians suffered some form of harassment in 139 countries between 2006 and 2010, the largest of any other group. Violence against Christians in the nations of Indonesia, Vietnam, Nigeria, Myanmar, Sudan and Eritrea, among others was discussed by other speakers. Conversion laws in India, restrictions on worship in China, and denial of education or employment in various countries were cited as others forms of persecution against the world’s Christians.